Marketplace Web Services API For Magento 2 : This multi vendor marketplace addon will expose the Web Services API of Marketplace module with REST api so that marketplace functions can be used by other application like ERP, Mobile application ( iOS , Windows, etc). Marketplace Web Services API For Magento 2: This multi-vendor marketplace addon will expose the Web Services API of Marketplace module with REST API so that marketplace functions can be used by other application like ERP, Mobile application (iOS, Windows, etc). Please Note - This module is an add-on to Magento 2 Marketplace Module. To use this module you must have installed Webkul's Magento 2 Marketplace Module first. Using Marketplace API, enable the mobile app functionality by fetching the functions of the marketplace. 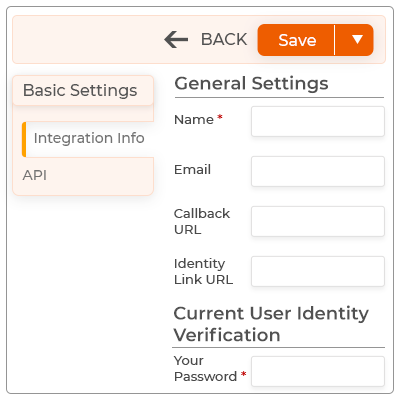 With the help of this module, a mobile app can be integrated for accessing web functionality. By means of Marketplace API, data can be exchanged between your marketplace store and the APIs database-driven resources. With the use of API, applications layers can be created and used to distribute the information and services to a new audience. With the use of API, any changes with time can be performed easily populates the data in real-time. API provides a more efficient way to transfer data to every channel on which the access is granted. An API (Application Program Interface) is a set of protocols and a kind of service that allow two software programs to communicate with each other directly and use functionality and data from each other. API is the only way to enhance your application in which software component may interact with other software components that provide interfacing with other apps and software over the internet. The Admin has to go to System > Integration > Add New Integration. The Admin can add new integration. The Admin can select all the resources/can choose some particular resources. 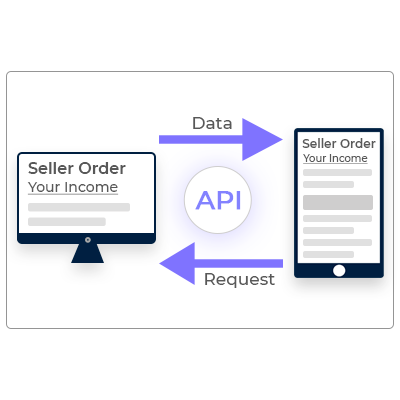 By using API, Admin can synchronize the Marketplace functionality like total sales, seller dashboard and seller orders, product etc to another platform like Android and iOS that populates the data in real-time. API integration is quite simple and easy to use, There can be multiple uses of this web service API. To authenticate users at the time of login. To get the seller’s profile details. To get the seller’s order. To get the order status. To fetch the order history. By the help of Magento 2 Marketplace Web Services API, you can call the functions of the marketplace from any third party platform like ERP, Mobile application (iOS, Windows, etc) and the process will be executed and return results as per the execution process. When this module will be installed, then the listed functions in the Magento 2 Marketplace Web Services API of Marketplace module will be exposed and you call those APIs from any third party using your Magento REST user's credentials. Standard REST API support found. Admin and customer level authentication for resources. Search criteria for seller list and seller’s order. JSON format return can be used in mobile and ERP devices including OpenERP(we have built world best openerp Magento connector). Using this addon marketplace can be managed very easily from other applications as well. Added Graphql implementation feature as per suggested by Magento 2.3. Did you buy Marketplace Web Services API For Magento 2? We've been working with Webkul for a few months now. Compared to development in North America the process is different, but you just have to get used to the back and forth dance. Instead of 1 constant step forward at a time, the QA process makes it more like 10 forward, 5 back, 20 forward, etc. but from a net perspective, we're making progress in leaps and bounds. We've used them for IT setup/configuration, extension purchase/installation, as well as extension customization/creation. Prices are reasonable, we we've even got 2nd opinions on some customization quotes and the numbers are right on. Given that there's a huge time difference between India and North America, I've also been surprised with their responsiveness and availability. Overall, happy to work with them and honestly not sure what we'd be doing without them. Does the Marketplace Web Service API’s secure? The module uses API key and access token which are needed by the application to access an API. Only the correct token is authorized to access and perform the specific task/actions granted through that API. Can we use custom names of API? Yes! the admin can use the custom names of the API. Can the Marketplace API be used on third-party Applications? You can fetch the data from the marketplace to your third-party applications. For further query, please revert us over support@webkul.com. Which mobile platform does Marketplace API support? The API supports mobile platforms like Android & iOS. Are the API key generated automatically? Yes ! the API key is generated automatically. + Seller list api with search criteria from both ends. + Seller's orders api with search criteria from both ends.